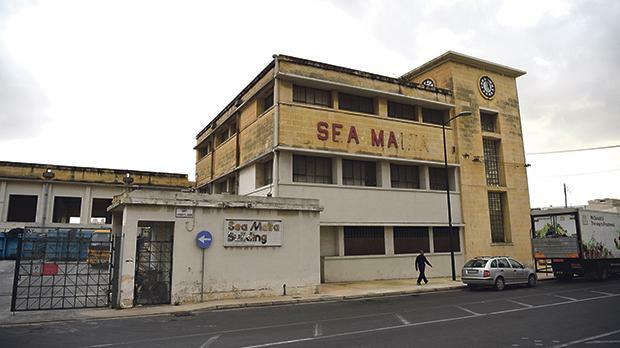 A structural appraisal report commissioned by the Planning Authority to assess the problems at the former Sea Malta building in Marsa found that the foundations were in such a poor state that it was posing a risk to the operation of the port. Last week, the Chamber of Architects, Din l-Art Ħelwa and Flimkien Għal Ambjent Aħjar jointly called on the Planning Authority to declare the permit awarded null and void. A significant part of the building was approved by the PA for demolition on the basis of a legal notice allowing the authority to authorise emergency remedial works to mitigate or remove any existing danger. The chamber said in a statement that nowhere in the structural appraisal report submitted by the applicants’ consultants was it stated that any part of the structure was in a state presenting immediate danger. But the PA defended its decision, adding it had requested a change in the proposal so that the front end of the building, which includes the clock tower, could not be demolished, as it is not in imminent danger of collapse. It said the report, which was prepared by third party consultants, showed ample evidence that the quay structure on which the rear part of the building is built had not only deteriorated but had collapsed in certain parts. The building was originally designed by Mortimer and Degiorgio Architects in 1948 to serve as a NAFFI warehouse for the British Forces based in Malta. The building also served as a recreational establishment, housing shops and restaurants, among other facilities. In 1981 the use of the building was changed to become an office, while still retaining the original building shell and envelope. The building started being used for the head offices of Sea Malta Company Limited after they were transferred from Floriana. Sea Malta was Malta’s national shipping company and operated from these offices until its closure in 2006. The building has been unused since its closure and lain derelict ever since.